Faced with a growing skills gap and the need to fill two million tech jobs in the coming decade, GE and other firms view women as the answer. CIO Monica Eaton-Cardone joins those actively working to increase employment of women in technology roles. Monica Eaton-Cardone announces her efforts to have females account for at least 25% of her technology workforce within the next 10 years. A recent General Electric (GE) report states that unfilled tech jobs are “holding back the growth of key industries and slowing economic development,” which poses a problem for U.S. companies seeking to fill an estimated two million computing and engineering positions over the next decade. (1) To address this shortage, GE and other industry leaders are undertaking efforts to boost employment rates of women in science, technology, engineering and math (STEM) positions. (2) Monica Eaton-Cardone, an IT executive specializing in risk management and fraud prevention, joins these forward-thinking firms in pledging to hire more women in technology roles at her companies. 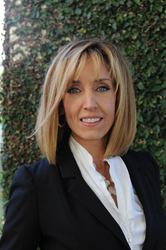 Eaton-Cardone’s interest in technology stems from her experiences as an eCommerce merchant. When she realized that chargebacks and fraud were negatively impacting profitability, she developed a robust solution which combined agile technologies and human insights. Today, she is committed to using her position as a business leader and technical expert to support the recruiting and advancement of women in technology. As a long-time champion of women in business and technology, Monica Eaton-Cardone welcomes the opportunity to connect with other female tech professionals at upcoming industry conferences and events, where she frequently presents on topics relating to fraud prevention, financial technology (FinTech) and security best practices. She is also available for interviews and future speaking engagements. For more information, visit http://monicaec.com. Monica Eaton-Cardone is an accomplished entrepreneur, speaker, author and industry thought leader who is internationally recognized for her expertise in risk management, chargeback mitigation, fraud prevention and merchant education. Eaton-Cardone found her calling as an entrepreneur when she sold her first business at the age of 19. She later became an eCommerce merchant, and after grappling with chargebacks and fraud, she took it upon herself to develop a comprehensive, robust solution that combined agile technologies and human insights. Today, Eaton-Cardone’s innovations are helping thousands of organizations achieve sustainable growth, and she continues to pioneer loss-prevention best practices as CIO of Global Risk Technologies and COO of Chargebacks911. Eaton-Cardone is a champion of women in IT and business leadership, and aims to inspire the next generation of young innovators through her nonprofit organization, Get Paid for Grades. Get to know her at http://www.monicaec.com.